GoodReads Blurb: My name is Amelia Gray. I’m a cemetery restorer who sees ghosts. In order to protect myself from the parasitic nature of the dead, I’ve always held fast to the rules passed down from my father. But now a haunted police detective has entered my world and everything is changing, including the rules that have always kept me safe. IF IT IS a book that you cannot stop reading, it is a good book. 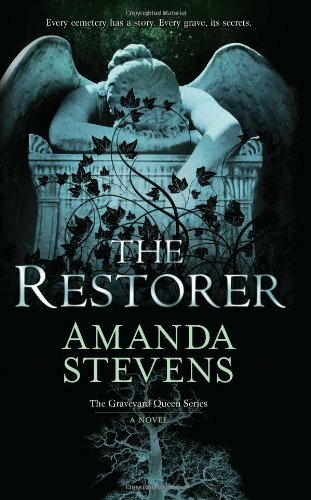 From the moment I woke up to the moment I put my head on the pillow, I wanted to keep reading The Restorer. I happen to not agree with the writer/narrative is saying about ghosts and why some people can see them and what to do. But, imo, it does not matter. This is a fast-paced mystery-thriller-paranormal about Amelia – who knows that she is different, and that she has been, ever since she had her first ghost-sighting. She is a graveyard restorer and this story deals with what happens when corpses turn up in a graveyard that she is currently restoring. What I really like about this book is that I felt that I saw what Amelia, saw, felt her emotions and worried about and feared the same things she did. The author put me right in her head and heart. Also, I have never been in the south, but this book really made me want to read more about and visit Charleston. Fantastic narrative. I do not want to go into any more details about the story, for fear of spoiling it for you guys. But this book is really, really good if you like your paranormal with a twist of ghosties, thriller and some hard-to-resist attraction. GoodReads Blurb: Cassel comes from a family of curse workers — people who have the power to change your emotions, your memories, your luck, by the slightest touch of their hands. And since curse work is illegal, they’re all mobsters, or con artists. Except for Cassel. He hasn’t got the magic touch, so he’s an outsider, the straight kid in a crooked family. AT FIRST I was not sure that this was going to be my cup of tea. It starts with Cassel waking up, dressed in boxers only, on the roof of his school after a very vivid dream. 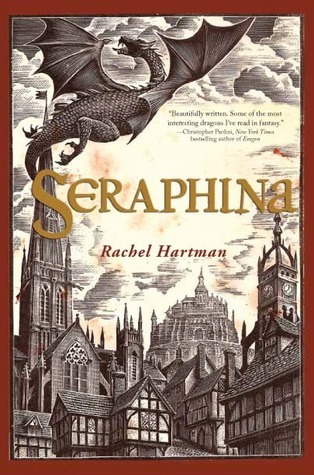 Such a start pulled me in to the story, but then I felt it lagged for some 20 pages or so, until sucking me back in again and not letting me go. I even dreamed of being a curse worker (that’s what happens when you fall asleep with the Kobo on your tummy at 01.30 in the morning). 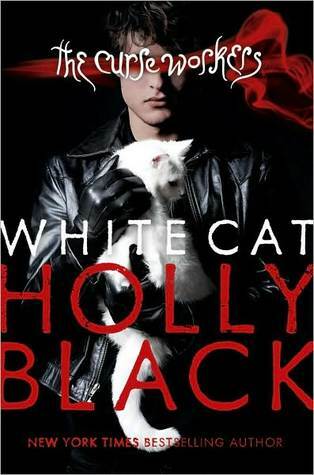 This is the third book I have read recently with a male POV, first person. The other two, Hold me closer necromancer and Anna dressed in blood, have become firm favourites – as has White Cat. Cassel is not a happy young man, for many reasons. The main one is that he believes he did something absolutely awful a few years back. It was covered up by his family, but he obviously has a hard time letting it go – especially since he has no real recollection of the event. Another reason is his dysfunctional – there is no other word for it – family and the fact that he has always felt like a failure, being the only non-worker of them all. I have a hard time getting with his mum, I mean, how can you be sure you really love your brothers when on so many occasions these feelings were forced upon you by your mother working her emotional curse on you? And those brothers… well, judge for yourself how lovable they are. Cassel’s family is a worker family, this means that they are gifted with the ability to make something magical apply to whomever they touch. The most common ability is that of bringing luck, but some can work emotions (like Cassel’s mum) or kill someone (like Cassel’s grandad). The cursing always comes with a blowback – for instance, for the grandad, part of his body blackens and dies every time he kills someone. He is now retired and, curse work is sort of illegal, anyway. The setting for the book is around New Jersey, USA and everything else but the workers being part of society – with their own history and holocaust to boot – seems like present time. Cassel is doing his best to fit in at school and being normal. He wants to have an ordinary life with none of the complications he is used to from home and looking at his childhood, I don’t blame him. But he feels like he is constantly acting, pretending to be someone he wants to be. He also has a hard time staying from the con; the one part of being a curse worker that he does really well. He runs a betting scheme at school despite being aware that it is really not in line with what he is trying to achieve. However, when he is forced to leave school for a while due to the roof top incident, the facade he has cultivated starts to crumble and I believe that in the end the truth actually does set him free. I am not going to go in to how the story progresses after Cassel temporarily goes home to his family for a while. But I can tell you it is definitely worth your time and money. I have the sequel waiting for me now, and I am really going to take my time and enjoy it, because the third instalment is not yet out and waiting for the next part of a really good series is so jobbigt as we say in Swedish.